I don’t know if what is happening is fair, but it’s the only thing I can think of that’s close to justice. Lanthimos’ conceit in Sacred Deer isn’t as broad as that of the more obviously quirky The Lobster, but it’s similarly straight-faced in terms of morbidly humorous execution. I referred to that film’s points as “really rather crude”, and I could level the same charge at Sacred Deer and then some. Indeed, in retrospect, I feel I was possibly too kind to The Lobster. There’s something soullessly empty about the way Lanthimos disinters his pockets to reveal a human foible he wishes to “examine” through attacking it in the most absurd/ extreme/ insidious manner possible. Now obviously, he may be your cup of tea, in which case you’ll disagree vehemently, but for me he elicits the same kind of disdain as Lars von Trier (albeit, I know the latter’s work enough just to avoid it now, and I haven’t quite reached that point with Lanthimos). Actually, while researching this piece, I came across a Guardian review comparing him to von Trier and Michael Haneke – I generally have a lot more time for the latter – in which he admits “I’m interested in messing with what they – they being average people, inevitably lesser ones than he – think is the norm”. Lanthimos’ style as a director, aided and abetted by regular cinematographer Thimios Bakatakis, has led to some superficial comparisons to Kubrick, with its icy compositions and glacial pacing – and whatever else I’ll say about him, visually he’s undeniably skilful – but emotionally and tonally he strikes me as a very different character. There’s a very intentional provocative, toying quality that’s closer to the Dogme approach; I don’t know, but I suspect he’s as happy to have audiences dislike his work as adore it. A pronounced response is all that’s important. Mine is that his films are the equivalent of one-joke comedies (and humour-wise they can be), where the set-up quickly gives way to tiresome indulgence. I don’t often have the urge to switch off a movie, but I was getting there with Sacred Deer. A problem with the mission statement “to mess with the norm” is that you really need to present a norm to undercut, and you need to actually challenge rather than flexing a muscle that is really rather familiar, just not so much in presentational style. Lanthimos expressly attempts to operate outside norms anyway, be it the pecularities of conversation or the modes of performance he extracts from his actors. 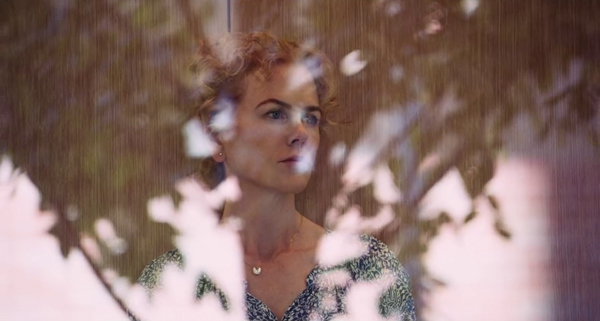 In Sacred Deer, he’s ostensibly rehearsing – as suggested by the title – the idea of justice meted for actions taken. Agamemnon killed one of Artemis’ sacred deer, and she demanded the sacrifice of Iphigenia in return. 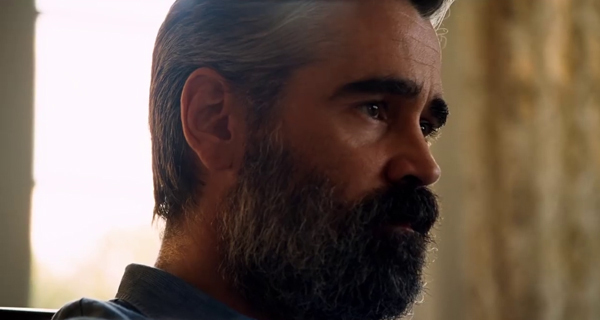 One can readily recognise the theme, be it eye-for-an-eye justice or instant karma, except that here it’s played out as an absurdist Sophie’s Choice, with Colin Farrell’s heart surgeon in denial that one of his family must die at his hand or they will all die, judgement meted by the son (Barry Keoghan) of a man who expired while Farrell operated under the influence. Lanthimos engages in much queasily playful tension as the scenario unfolds, with Keoghan’s little Damien in the family’s midst, interposing himself on the affections of (just) teenage daughter Raffey Cassidy. It’s younger son Sunny Suljic who succumbs first, though, with resultingly combative attitudes over who will survive surfacing on his sister’s part. The acidic examination of the insulations and betrayals within a family unit was also something poked at in The Lobster, but where that picture’s premise hewed closer to the Python-esque, this one’s foundations are very much in the horror genre, turning domestic bliss into a cauldron of distrust and contempt as parents trade spleen while their children’s life forces ebb away. Naturally, as with The Lobster, the absurdity of the “power” (be it turning someone into an animal or casting a spell of vengeance) is offered no underpinning, excepting that here at least, it is acknowledged as something out of the ordinary. 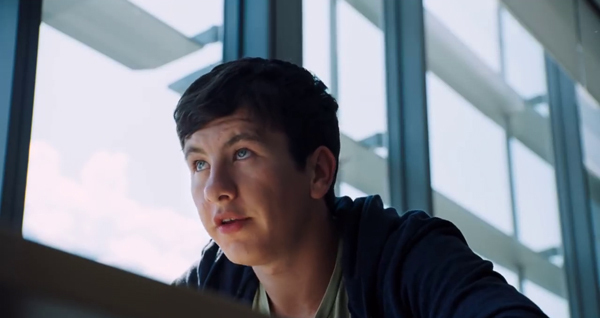 Returning to my initial response, as soon as Farrell was making nice to Keoghan, it was clear Sacred Deer was going to try my patience, Keoghan playing up the face of a teenager you absolutely would not take home to your family, even if you’re suffering guilt deep down over your culpability in his father’s death; in that respect, far from messing with norms, Lanthimos is simply falling in line with so many horror movies where you wonder why you’re giving your time to such tenuous trifles. The difference being, Lanthimos is critically acclaimed, and most horror movies are not; I felt throughout that I’d seen it all before, that what was unfolding was tiresomely predictable, and that its director’s stylistic touches compounded rather than diluted the problem. 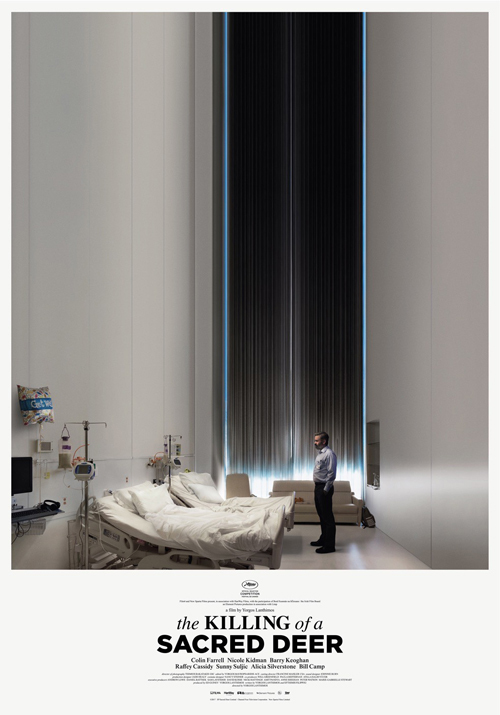 Many reviews have breathlessly gushed about The Killing of a Sacred Deer being a modern Greek tragedy, while Lanthimos believes it’s a chortlesome comedy (I can see the comparison to League of Gentlemen, actually, which I never cared for either). I guess, as long as you’re getting something positive from it, it’s genre-spanning capacities are an enormous boon. I couldn’t wait for it to be over. "(I can see the comparison to League of Gentlemen, actually, which I never cared for either)"
Ohh, the show. I was like, "The Basil Dearden movie?" Anyway, The Favourite might've rocked (for me), but I'm still pretty cold on Lanthimos; I haven't seen Killing of a Sacred Deer and don't really want to, for while I reckon may enjoy him as a director, I don't think I dig his screenplays, and that's everything but The Favourite.